South Beach Bachelor | South Beach Bachelorette Parties. We realize this is a very special night that the Bachelorette or Bachelor will always remember with their closest friends. We at VIP South Beach will do everything to ensure it is a night to remember. Planning your big weekend in Miami is not easy the South Beach nightlife is constantly changing. The are plenty of clubs and restaurants to choose from and when you have a big group of girls or guys everyone has different tastes and budgets making the planning a little more challenging. With our services the party planning will be effortless and we will ensure you at all the best nightclub parties on the best nights. Our South Beach nightlife planners will create your nightlife itinerary with your specific taste requirements and within you groups budget. We will ensure that you and your friends will experience the best of the South Beach nightlife on this memorable night. 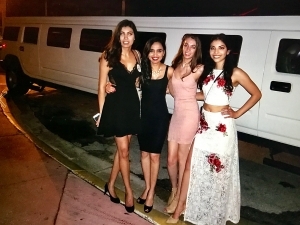 Your South Beach nightlife party package will include 3 hotspots starting with a trendy lounge for the 2 hour open bar, then off via limo to one of South Beaches super hot South Beach Miami nightclubs. We work with all South Beach nightclubs and we will ensure you are in the Miami nightlife’s best parties. We also offer nightclub bottle service reservations. 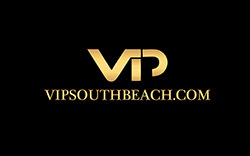 Checkout our client reviews and our featured articles about our VIP Services in South Beach. Please fill our Contact Form below or Email us and we will get started right away in planning your ultimate South Beach bachelorette or Bachelor experience!